You are here: Blogging101.com > What is a Good Blog Post? Being a blogger means wearing many hats. Sometimes you will need to write and post content, sometimes you will need to create images and sometimes you will need to market your website. But while all this is true, the number one job of a blogger is no doubt to create blog posts. Blog posts are what will bring people to your website, what will keep people reading and what will help you to grow your audience and build a loyal following. 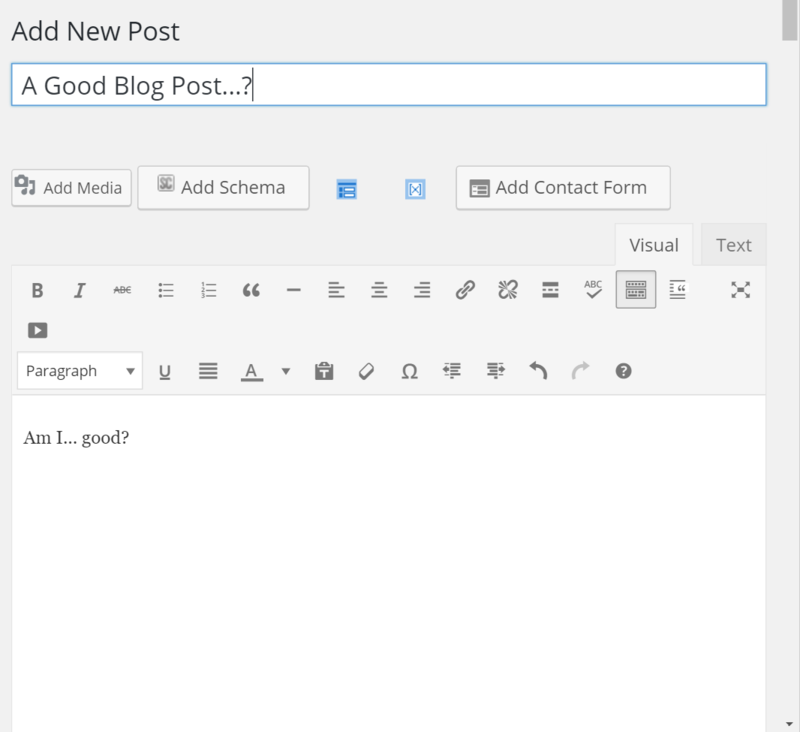 So the question becomes: what makes a blog post good? How can you make sure that your blog posts really are engaging and interesting enough so that people want to read them, share them and then come back for more? It’s a bit of a complex subject and there’s no easy answer… but let’s take a good stab at it! The most obvious thing you could say makes a good blog post is good writing. If your writing isn’t good, then people are quickly going to be put off and they’re not going to want to stick around for the whole thing. We already posted earlier on how to write engaging content but just to briefly reiterate, the aim is to be efficient at conveying information. That means avoiding using over-long sentences, jargon or flamboyant vocabulary unless necessary. Think of this as being like a profit margin. Your aim is to provide the best possible value for the amount of time that your readers put in. The more information and entertainment you can convey in the least amount of words, the more dense the value you can. This means people will quickly get what they’re looking for – and more – but without getting bored or frustrated or running out of time. On the other hand, if you use lots of big words and jargon, you risk turning people away quickly. This might come as a surprise if you’re used to thinking of good writing as being very flamboyant and colourful. If good writing is just efficient, then why do people need a good vocabulary? The answer to this is precision. Using bigger words allows you to convey the nuances in your meaning and thereby to create something more entertaining. But just don’t use big words for the sake of using big words! What is meant by ‘value’? Value simply means delivering something that people want. This might be useful information or it might mean entertainment. At the same, it’s important that your audience knows what kind of information you’re providing them with and that they’re getting what they’re looking for. In this regard, it becomes very important for you to correctly market and explain your content too – if your audience comes to your site expecting valuable information and you’ve just written a jokey post, then they are going to feel tricked and short changed. In this way, a good post should be targeted to a specific audience and with a specific purpose and this should be well communicated throughout your marketing. It should also be written in a tone that suits the topic and it should fit the tone and the purpose of the rest of your site. A good piece of advice when writing any content is to have a persona in mind. Your persona is the ideal target audience that your post is for. This can mean the demographic of your site but it can also mean the specific individual who would be interested in that particular post. So if you have a fitness site, your demographic might be people trying to get into shape. But if you write an article called ‘Being a Dad Doesn’t Have to Mean Getting a Dad Bod’ then you know that your ‘persona’ is the kind of person who now has a baby and is struggling to stay in shape. Talk using language aimed at that specific person as though they were a friend and make sure your title and even the places you share your content are all designed to target that specific persona. This way, everyone who reads that content should come away with the value they expected. In terms of length? That very much depends on the content. But seeing as the aim is to provide as much value as possible, ‘long-form’ content has been coming very much into fashion lately. This is content that is not only long (800 words to 2,000) but also well-structured to include lots of useful sections and outward-bound links. Google likes this kind of content and so do your readers! 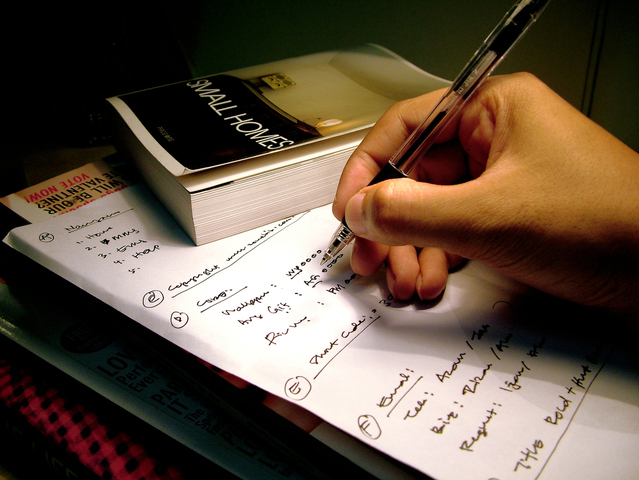 To this end, you also need to focus heavily on the structure of your blog post and presentation. It should have great images, lots of headers and sections and the ability to skim read as the readers like. Likewise, it should have a comfortable-to-read font and generally be laid out in an attractive manner. And you know what? A bit of creativity never hurt in the layout department either. If you’re writing a post about color psychology, why not make it multicolored? Why not illustrate a post with comic book panels in between the text at regular intervals? Why not include some kind of more elaborate indexing system for finding specific parts of a mega-post? There’s no reason that all your blog posts have to be the same and no reason you can’t be more creative with them. Sometimes you might want to make a very short inspiring post, other times you might want to create an ultimate resource. By mixing it up, you’ll avoid fatigue with your regular readers, impress new ones for all the right reasons and generally be memorable. Try to think of each of your blog posts as a product and apply the same kind of creativity and promotion as you would for any other product!